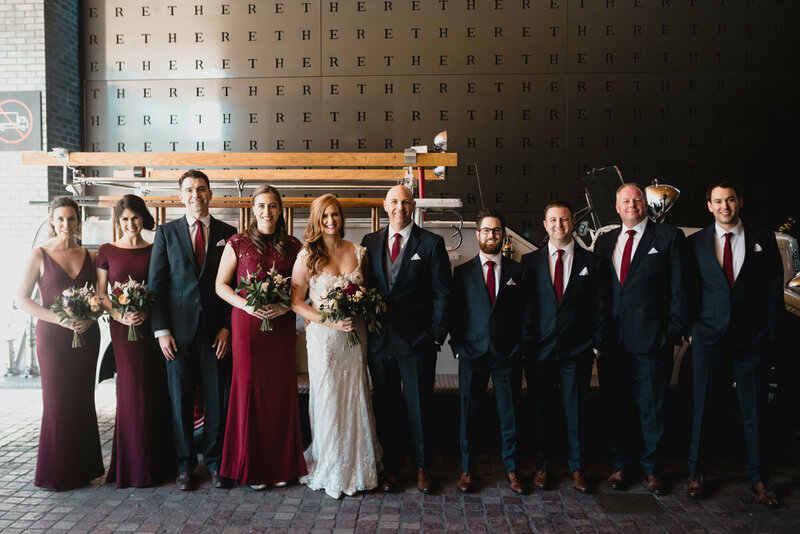 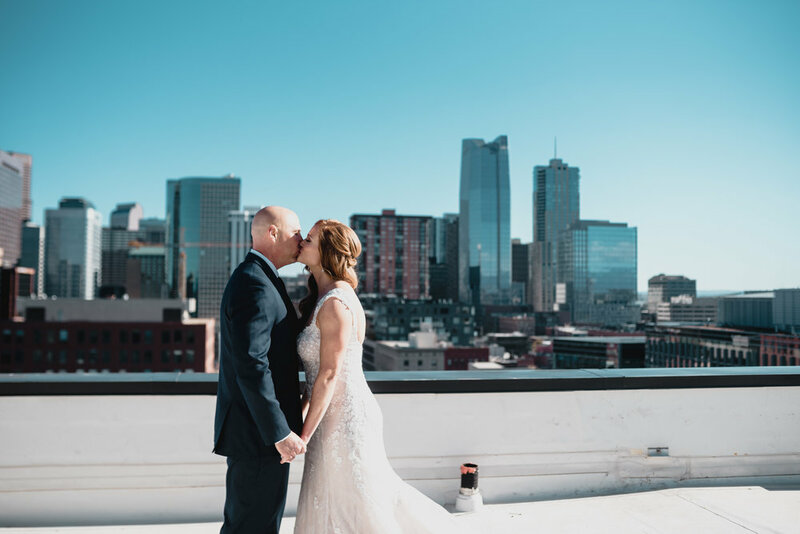 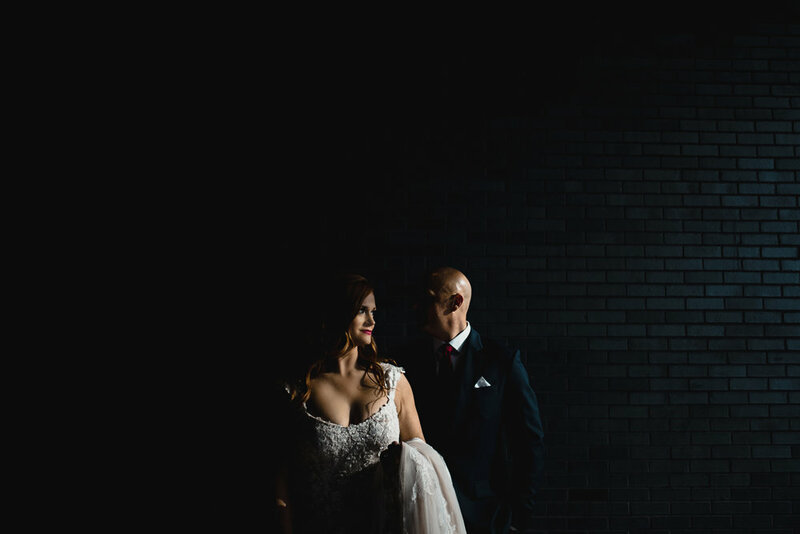 Courtney and Kasey’s fall Hotel Born wedding was a fun, urban celebration with the beautiful Denver skyline as a backdrop for their first look. 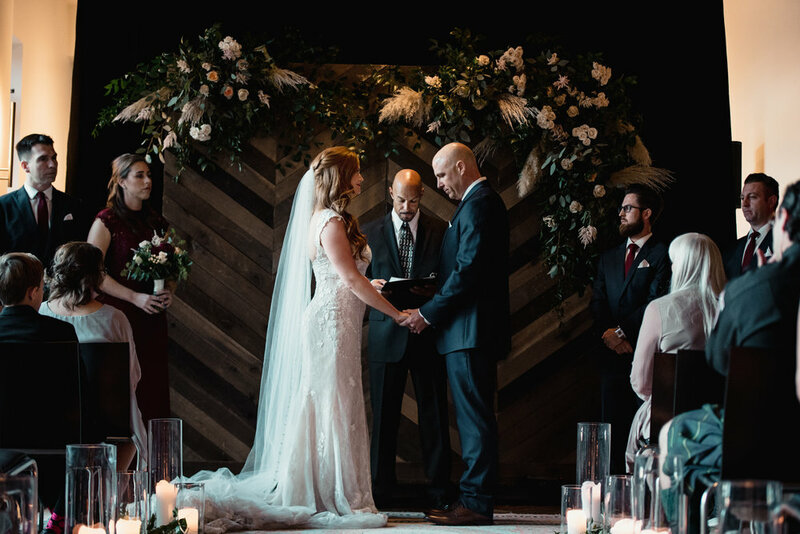 They selected a moody organic aesthetic featuring deep greens, ivorys and natural wood. 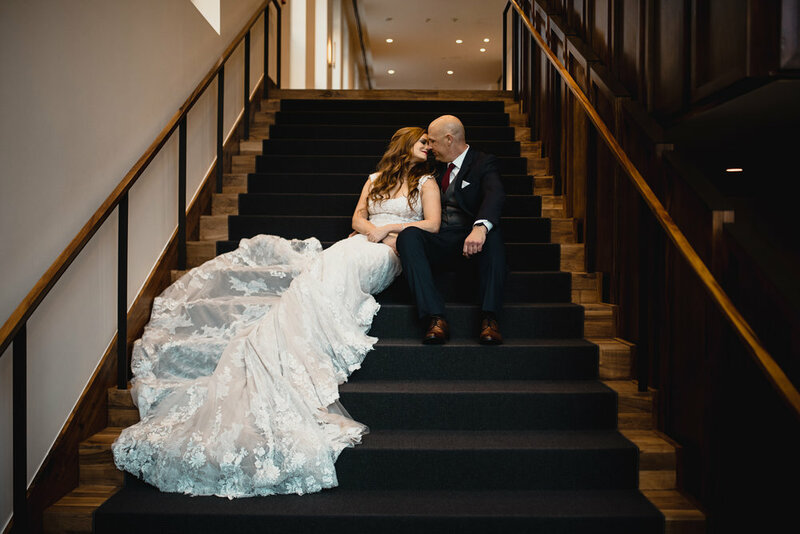 Courtney fell in love with a Justin Alexander Signature collection gown, style 9893. 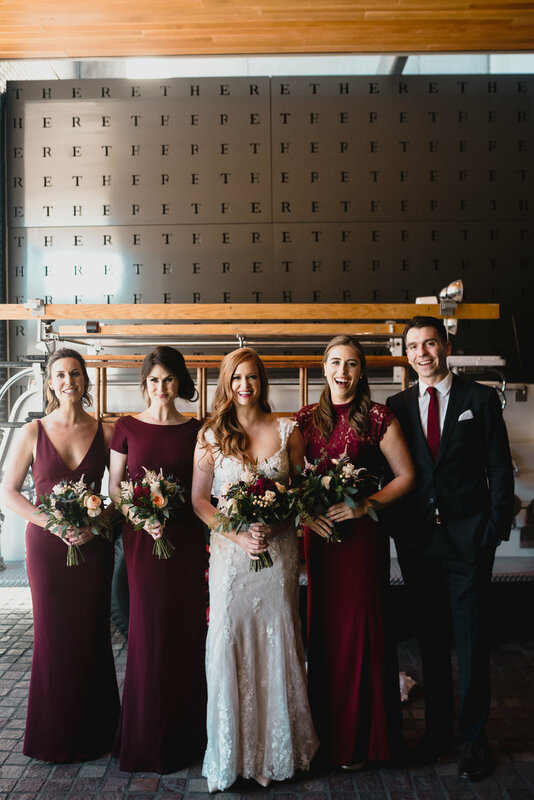 The champagne fit-and-flare gown features Chantilly lace appliques, cap sleeves, a flattering scoop neckline and a dramatic train. 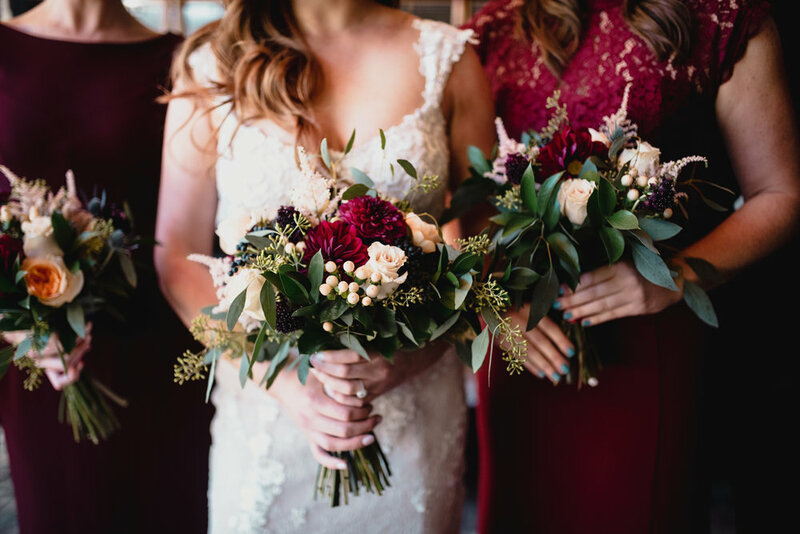 Congratulations, Courtney and Kasey! 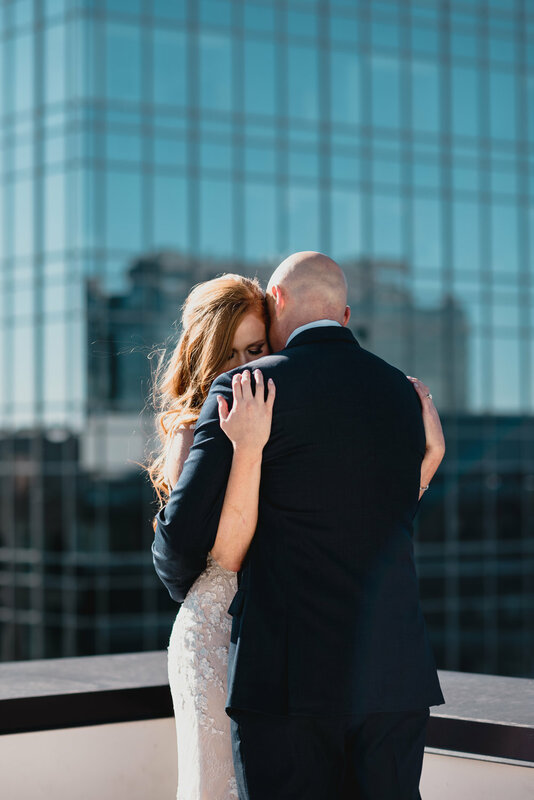 May you always look at each other like you did during your first look!